NAI Isaac recently assisted in the lease of a 5,236 sf space within The Plaza at Lexington Green, located at 200 Lexington Green Circle in Lexington, Kentucky. The space has been leased to Mellow Mushroom, a national pizza and craft beer restaurant. The Lexington Green location will be in addition to their South Upper location in Lexington, and is slated to open for business in early 2016. Paul Ray Smith, Executive Vice President and Jamie Adams, LEED AP, Senior Associate with NAI Isaac Commercial Properties assisted the Landlord in the lease negotiation.Clay Angelucci with Block + Lot Real Estate represented the Tenant. 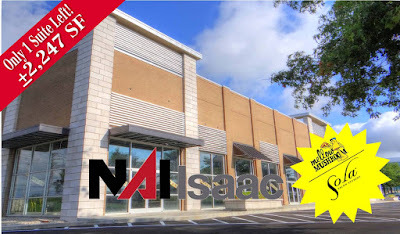 NAI Isaac leases 3,000 sf to AbleCare, located at 1701 Nicholasville Road in Lexington, Kentucky. AbleCare offers medical supply equipment to customers in the Central Kentucky area. Al Isaac, President and Jamie Adams, LEED AP, Senior Associate assisted the Landlord with the lease transaction. 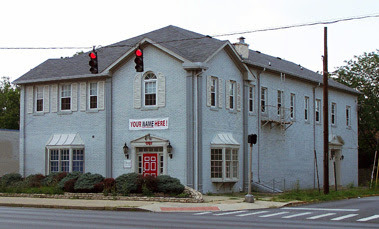 NAI Isaac Represents Fayette County Bar Association, Inc.
NAI Isaac represented the Fayette County Bar Association in the sale of their 3,370 SF office building located at 219 North Upper Street in downtown Lexington, Kentucky. 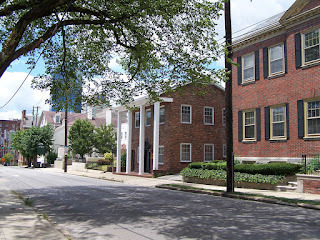 The property was purchased by Greenleaf Properties #2, LLC. Bruce Isaac, SIOR, CCIM, GRI, Senior Vice President and Jamie Adams, LEED AP, Senior Associate with NAI Isaac Commercial Properties represented the Owner, Fayette County Bar Association, during this transaction. Bryan Little with Keller Williams represented the Buyer.